So, you need to design a brochure? Where do you start? We’re comparing three different pieces of brochure design software to see how they stack up. For web and digital designers creating a printed brochure for the first time, to designers that have been making print pieces for a while, using the right tool can make brochure design a more efficient task. Adobe tools are the common starting place. Today, we’ll compare using InDesign, Illustrator and Adobe Spark (a free offering) for creating a brochure design. 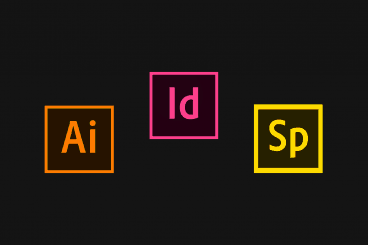 Adobe InDesign is made for designing printed projects. Most designers go to InDesign first for any type of printed, multi-page layout because it is best suited for these kinds of projects. 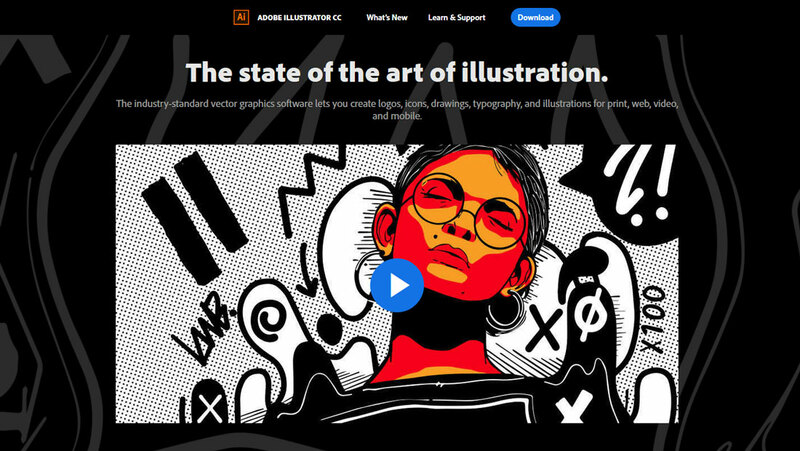 Adobe Illustrator is a vector-based tool that’s made for creating scalable illustrations. You can use it to create brochures – many designs do – but file and text handling features leave something to be desired for many users. 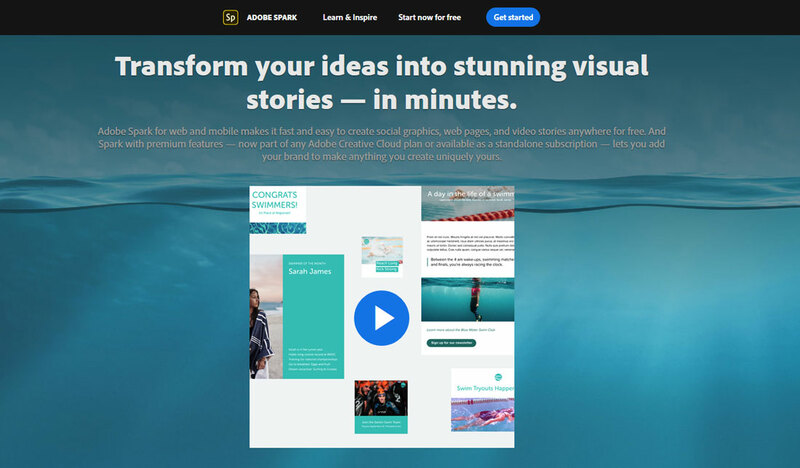 Spark is one of the newest software tools in the Adobe family and it comes with Creative Cloud subscriptions and in a free version. (The free version has a few limitations but is quite robust.) The primary function of Spark is to create simple online elements that can be adjusted and shared online. The brochure design software winner is Adobe InDesign. It’s just made for this type of job. But it’s not that simple for all designers. There are other considerations to take into account. When it comes to designing brochures, learning InDesign is worth the time. If you are planning to do a lot of brochure design – print or digital, but especially print, learning InDesign is definitely worth your time if this isn’t a tool you are already using every day. If you don’t do a lot of this type of work and already know Illustrator, you can make it work using that software. Adobe Spark isn’t really recommended for anything that needs multiple pages or actual printing. If you are designing brochures from templates – that’s where many people start – pay attention to the formatting of the design. That can make your decision for you if you are set on a particular template. 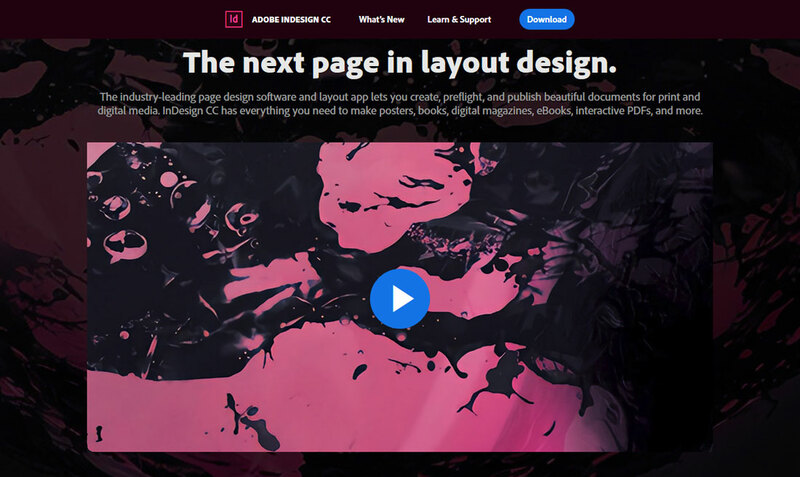 The brochure design templates often come as InDesign files, although there are Illustrator templates out there. What it comes to down is what you are comfortable with using, and the time you have to complete the project. If you already know one type of software, that will probably be your go-to choice. But when it comes to designing brochures, learning InDesign is worth the time. In the long run, it will help you create brochures faster (thanks to better tools for the job), save and export for printing with smaller files and be one more skill in your design repertoire. Ready to begin your design? We have some great brochure templates to help you get a head start!